J. Heights is making a name in DC! My two homes…connecting! 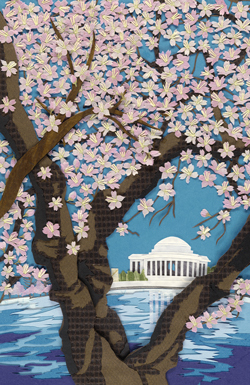 I just spotted on We Love DC that the 2010 Festival Artwork for the National Cherry Blossom Festival has been selected. The picture was created by Junko Yamada of Jackson Heights, NY.